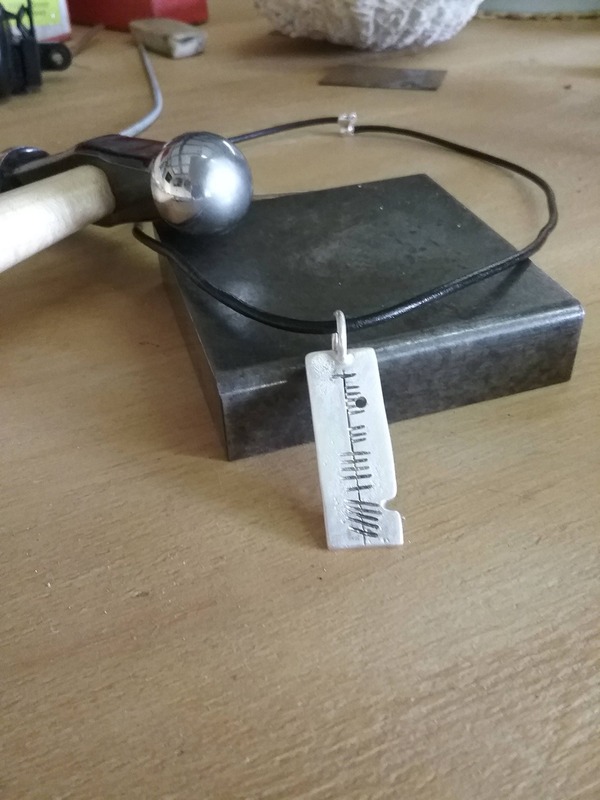 Contemporary Celtic Silver pendant with Ogham Inscription for a fashionable modern Man. 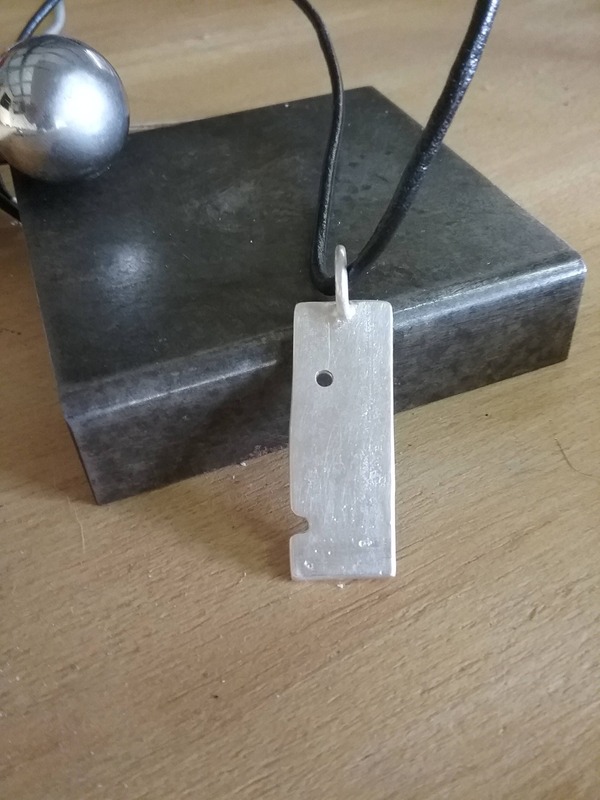 Handmade Unique Designer Sterling Silver pendant for a fashionable modern Man. 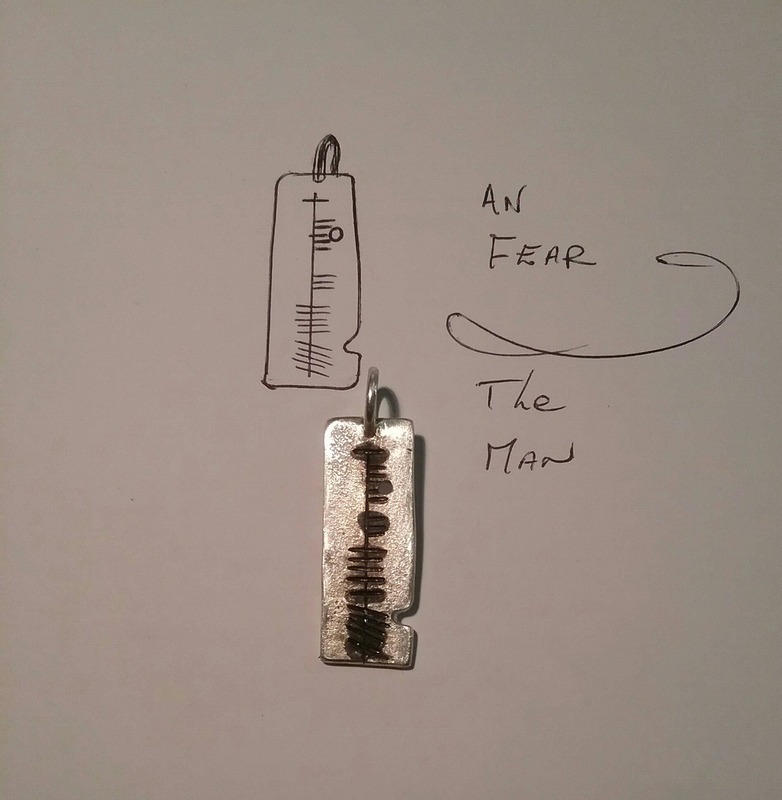 Sterling Silver Contemporary Fashionable Modern Man Pendant is made for the man with a keen sense of style and confidence. 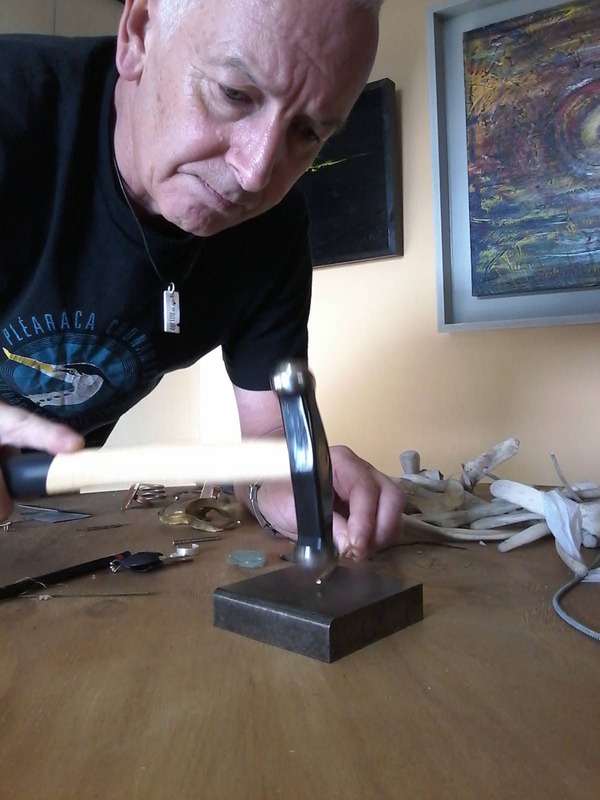 At the studio in Connemara we have chiseled in the words 'An Fear' (Gaelic for 'The Man') with small chisels using the ancient Irish style of writing called Ogham. The design features an abstract face. We have left the reverse side blank on this occasion save for the texture marks from the casting process. We could also make an An Bean (The Woman) pendant, contact us if you are interested. 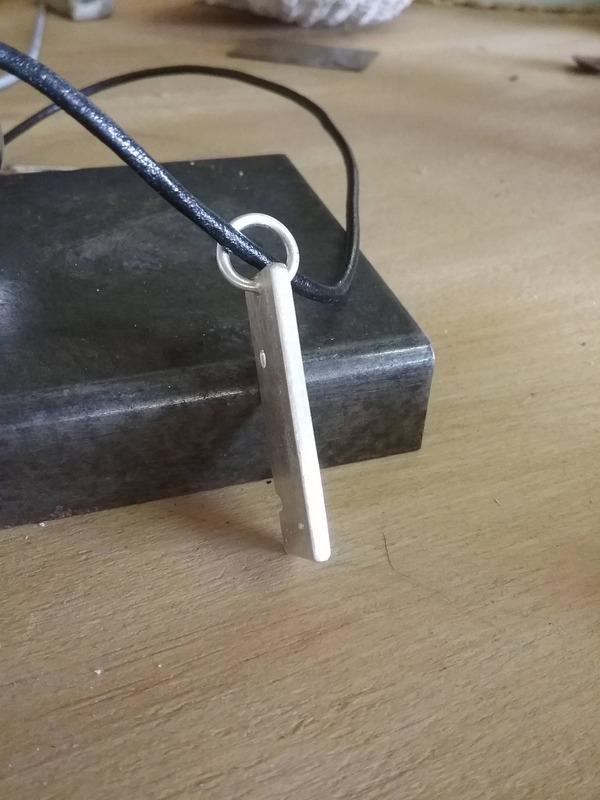 The necklace come with an 18" leather cord with Sterling Silver terminals. 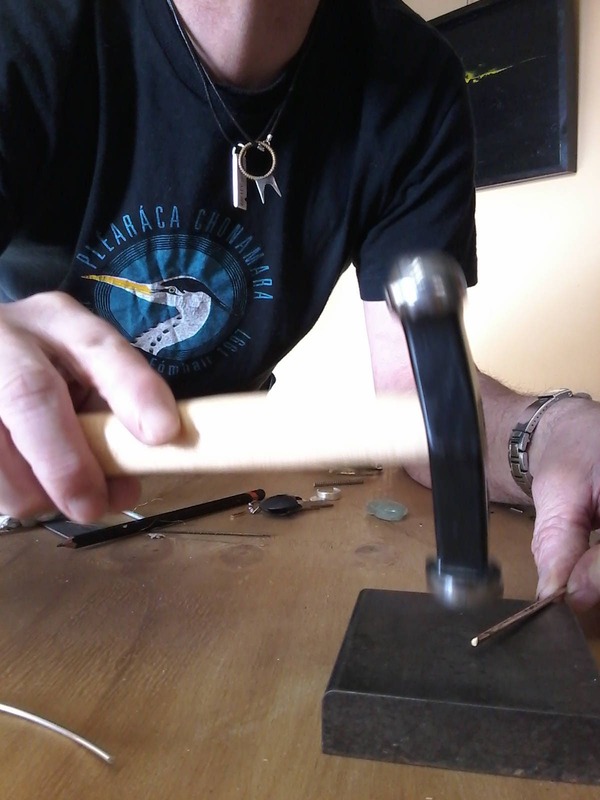 For your peace of mind we ship your jewellery by Registered Mail with Track and Trace enabled so once it leaves the studio you can track it. Price includes packing and shipping throughout the world.